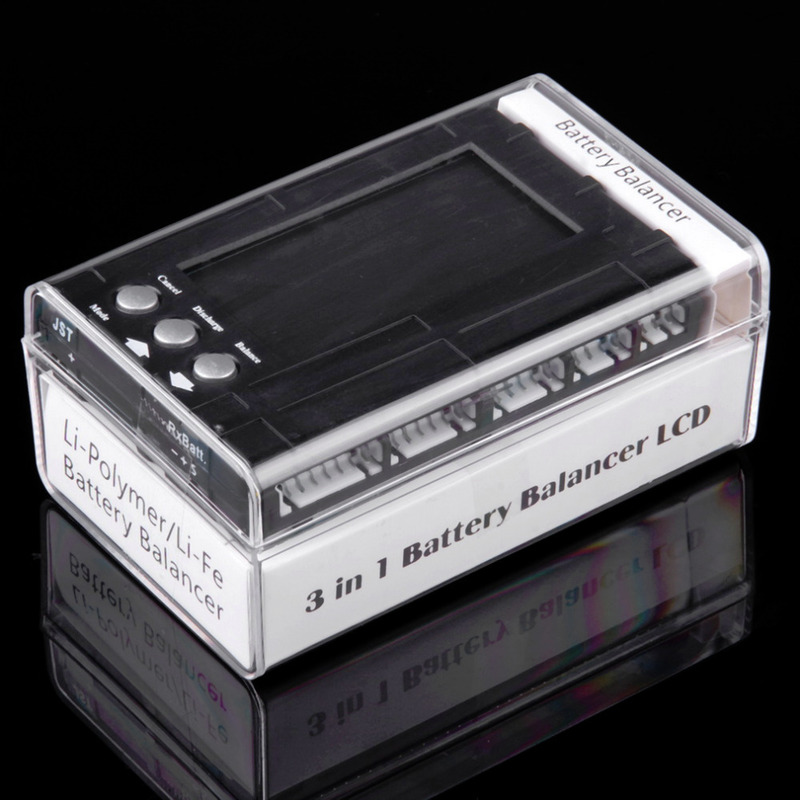 The Balancer / Discharger is designed for Li-Polymer and Li-Fe battery, it can measure battery voltage precisely and balance cell voltage in battery pack, or discharging battery for long time storage. The balance function can be executed before or after battery charged. It also can be done during battery charging process. It makes sure battery pack keeping in excellent condition. User could observe all cell voltage in whole battery pack at once. It helps user to find out which cell is abnormal during charging or discharging process. 3. Cell(standard voltage 7.4 V ~ 22.2 V using divided voltage joint).